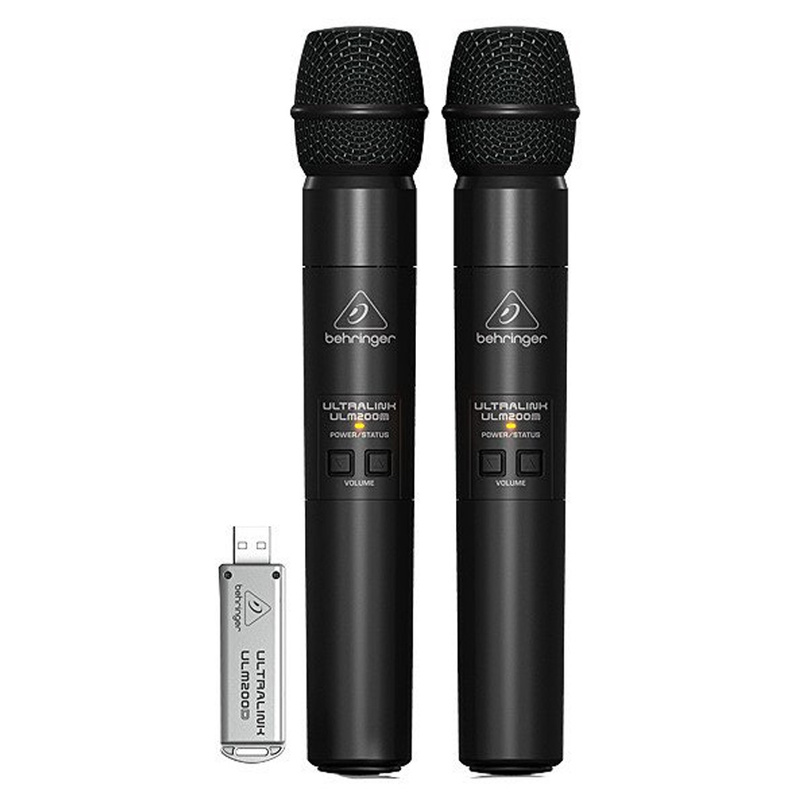 Behringer’s Ultralink ULM202USB wireless mic system leaves you free to roam the stage or work the room untethered. 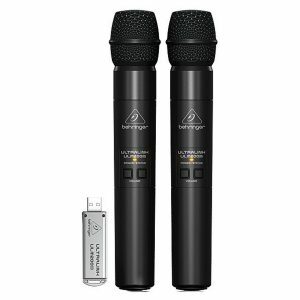 This bundle includes two ULM200M handheld microphones and the thumb-drive-sized ULM200D dual-mode USB receiver. 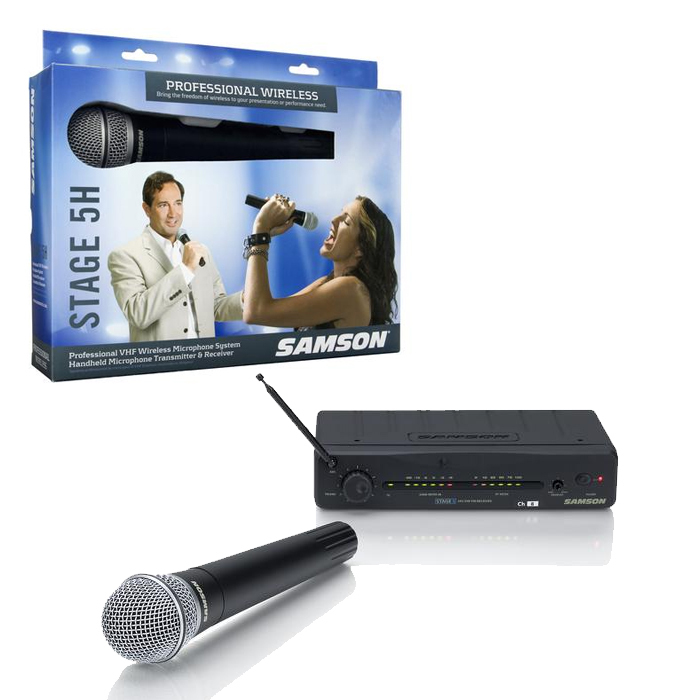 The dynamic hand-held mic with built-in transmitter gives you high-quality sound, and features license-free 2.4 GHz operation for a range of up to 400′. 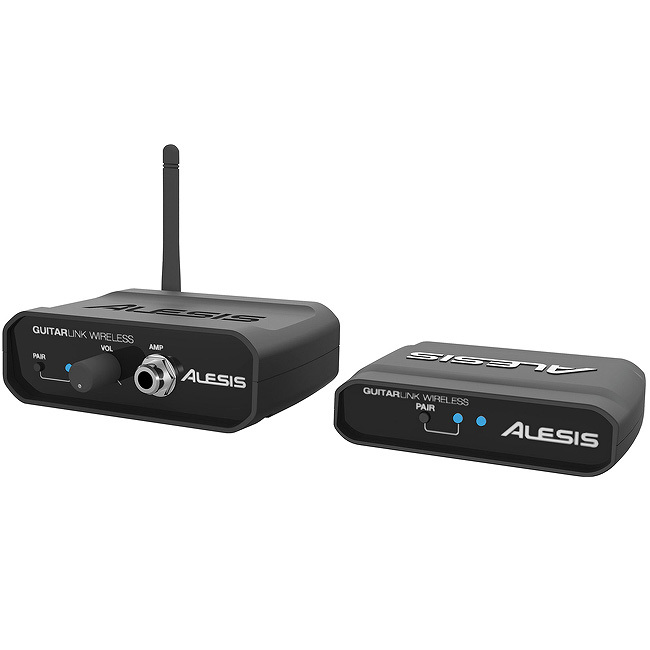 And because the receiver can be connected directly to your Mac or PC’s USB port, you can record directly into your favorite DAW. Behringer understands that budgets don’t grow on trees. Go wireless while being gentle on your budget, with the Behringer Ultralink ULM202USB. 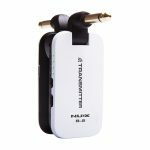 With the Behringer Ultralink ULM202USB, you won’t have to deal with the hassle of frequency matching; the receiver automatically pairs with the transmitter, so set up is as easy as plug-and-play. Behringer also devoted special attention to the ULM202USB’s battery design to ensure that battery life is extended as long as possible. You get a bona fide eight hours performance time from a pair of AA alkaline batteries, which are readily available anywhere. So take the stage with confidence. 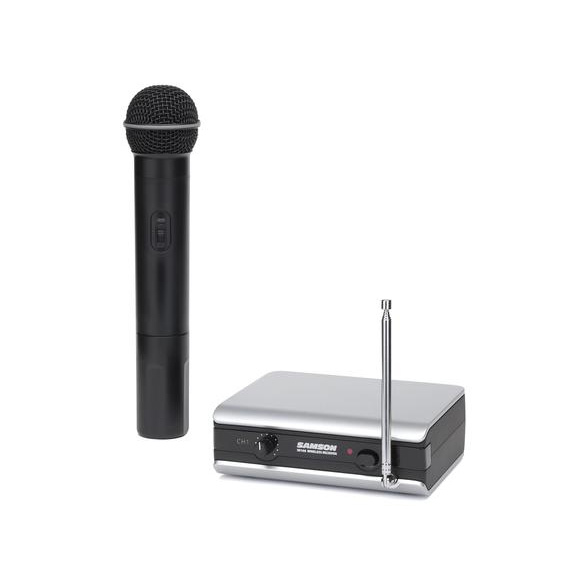 You’ve got Behringer’s Ultralink ULM202USB wireless system.